Hi everyone, Mae-Mae here. Wow, it's been such a long time! I don't really have anything to say, but I will do a one month update of bullet journaling in about a week. But along with bullet journaling, this month I've also gotten into an obsession with hand-lettering and modern calligraphy. It is so much fun, and I feel like anyone could get good at it, even if you aren't naturally gifted with amazing art skills or beautiful handwriting. 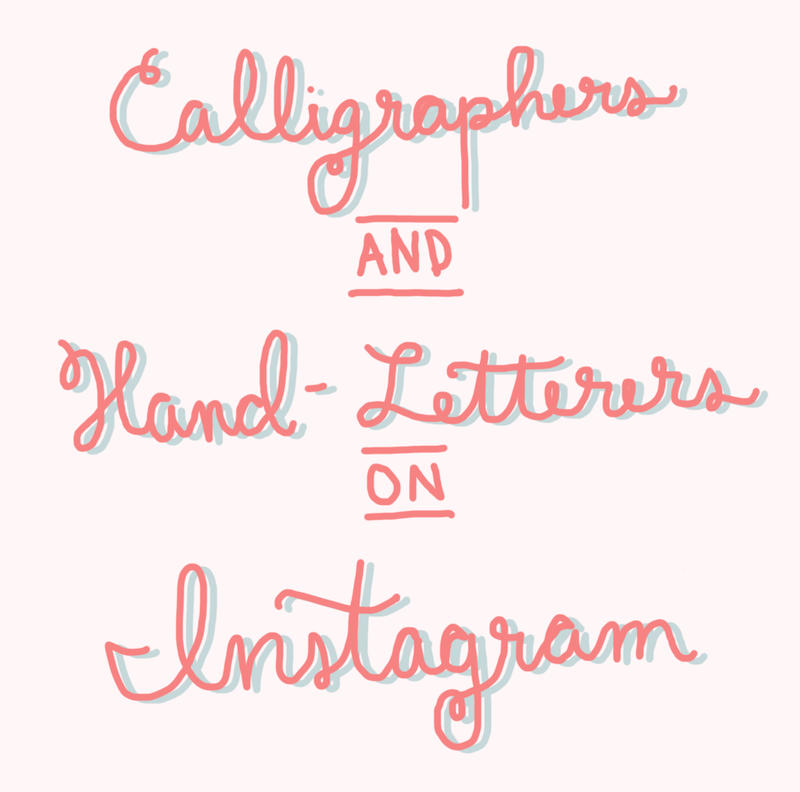 In this month, I've found a lot and followed a lot of hand-letterers/calligraphers on Instagram. You can see the full list of accounts I follow on the Our Journey in Journals Instagram page, but in this post, I'll just be doing a quick highlight/round-up of a couple of these amazing people. Jessica is pretty great. Along with lettering, she is also a big bullet journal blogger. The Letter Archive account, by @TheHappyEverCrafter and @BlackChalkCo, mainly features pictures and videos by people doing their own versions of letters. The Letter Archive itself (found under #letterarchive) is a collection of letters that people can find inspiration for their own lettering with. You can find individual letters with "#letterarchive_[letter]". Lauren, the woman of Renmade Calligraphy, has amazing skills with brush pens (she's even part of the Tombow design team). She's also one of the co-hosts of #togetherweletter and has a website where you can find out more about her. This is Liana's Letters. She is one of my all-time favorite letterers on Instagram. I just adore her highlights and shadows so much. The Revision Guide, along with hand-lettering, is also involved with sketchnotes. She (he? I don't know) is known for her amazing wreaths and doodles in general. Lettering League is similar to a challenge in that it has a theme each week (this week it's "hustle"). People respond to the prompt, and the account reposts said posts. It's a fun way to find a bunch of different inspiration for your own lettering. I hope you guys enjoyed this fun little round-up! I'm also very sorry for the lack of posts on this blog. 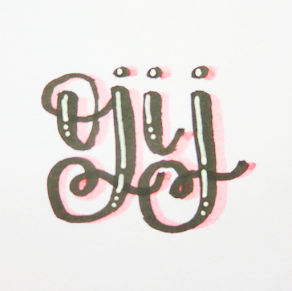 Who are you some of your favorite calligraphers on Instagram that I didn't mention here?